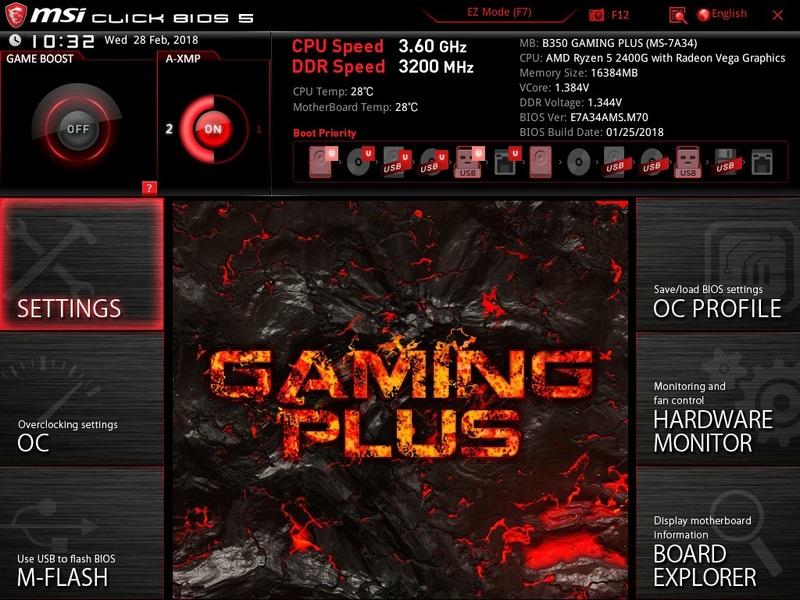 The MSI B350 Gaming Plus Motherboard - Its a Plus in every way! Its been a while since AMD Ryzen made a debut with its first ever Ryzen 7 CPU lineup last year which was followed up by Ryzen 5 and Ryzen 3 series that was primarily focused at gamers and modest content creators rather than the enthusiasts that the Ryzen 7 was supposed to cater. With this we did see a whole new generation of X370, B350 and A320 chipset based motherboards flooding the market which recently got a new lease on life when the Ryzen G series or the Ryzen APUs released earlier in February 2018. Since the new generation of Ryzen APUs are more budget oriented the biggest benefit is obviously to the B350 PCH based motherboards and that brings me today to yet another review. Today we'll be looking at the MSI B350 Gaming Plus motherboard and see how good or bad this near $100 offering from MSI really is for your next Ryzen APU build! Priced in at $103 or Rs 8,600 in India the MSI B350 Gaming Plus is obviously an upper budget B350 motherboard supporting the Ryzen and Ryzen G series processors. Its well equipped with a all USB3.0 ports, a premium audio solution, four DIMM slots and a red and black color scheme to compliment any gaming system out there. With the red and black lava like textured design and color scheme in place the MSI B350 Gaming Plus is on fire! 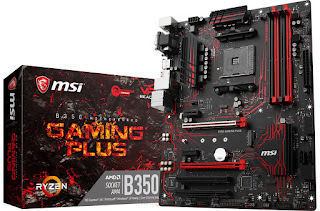 On a serious note carrying the new performance gaming motherboard lineup color scheme the B350 Gaming Plus is in a slim cardboard box with the product name and the B350 badge occupying most of the front space. Rest of the essentials like VR Ready, AM4 socket and Ryzen ready logos are also printed clearly across the front fascia. At the back there is a colored labeled diagram of the motherboard with rest of the features along with brief descriptions and their respective graphical representations. At the bottom left you'll also find a diagram for the various ports on the IO panel which completes the package and is informative enough for a potential customer. In the accessories section the MSI B350 Gaming Plus is a bit on the generous side and its totally understandable for a board of this price point. We have a user guide manual, a memory installation guide, a quick start guide, driver DVD and a thank you note along with the IO shield. 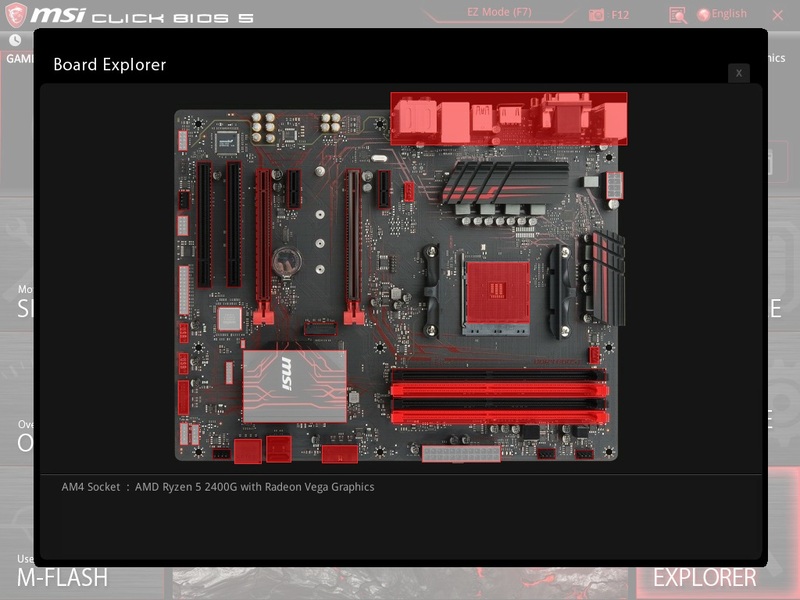 The MSI B350 Gaming Plus is quite different from other AM4 motherboards on the market today boasting a unique color combination and detailed aesthetics work on the PCB which might act as an attraction point for the product. If we look closely then we realize that the B350 Gaming Plus is infact the same PCB as that of the B350 Tomahawk motherboard but with a different color scheme. 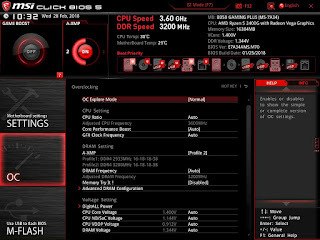 The red and black color scheme and veins like abstract work on the PCH heatsink and on other parts of the motherboard is what separates this from the latter leaving the choice upto the customer to choose the one as per his choice of colors and build theme. The back side of the motherboard is mainly bare with nothing much to see or observe except for a few brand and license logos aswell as the metal back-plate for the AM4 plastic stand offs or after market coolers. For the IO panel we have a two USB 2.0 and three USB 3.1 ports, one USB Type-C port, LAN port, audio output, one PS2 port and if an AM4 APU is installed, it can utilize the embedded graphics through a VGA port, a DVI port and an HDMI port. Resolutions up to 1920×1200 at 60Hz are supported on the single-link DVI-D port, while HDMI offers 4K at a low refresh rate or lower resolutions (such as 1080P) at 60Hz. The AM4 socket for the AMD Ryzen CPUs is clearly placed in the middle with enough clearance around the socket to install beefy air coolers including the Noctua ones provided your DIMMs aren't too tall. Its accentuated by red stripes all around giving it the convergence point sort of a feel which is well justified. MSI B350 Gaming Plus supports four DIMMs with a maximum capacity of 64GB and at a frequency of 3200Mhz which is more than enough. Also these slots are colored in red and black alternate fashion but are not reinforced for cost cutting measures which is not a deal breaker at all. The single 110mm-capable M.2 connector supports M.2 32Gbps PCIe 3.0 x4 NVMe SSDs as well as SATA 6Gbps-based alternatives. The steel-reinforced PCIe slot is where sixteen PCIe 3.0 lanes from an AM4 Ryzen CPU are directed and should be used to install a graphics card. Four PCIe 2.0 lanes from the chipset are delivered to the secondary full-length slot, making it unsuitable for SLI or high-bandwidth CrossFire. Two PCIe 2.0 x1 slots are also provided and receive their bandwidth by stealing some lanes from the lower full-length slot, which is then dropped from x4 to x2 mode. 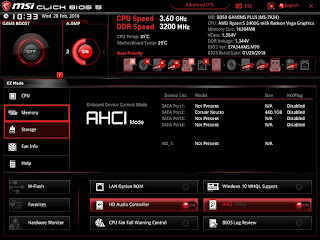 To provide PCI connectivity MSI uses an ASMedia ASM1083 PCIe-to-PCI bridge chip. As for storage option we have four SATA III 6Gb/s ports located near the PCH heatsink out of which two are vertically aligned for easy cable routing and wire management. Its strange that MSI provided only four SATA ports here since the B350 PCH supports six SATA ports and four can be a bit less for most of the users. Talking about power delivery system the MSI B350 Gaming Plus has a 4+2 power delivery system in place which is adequate for most of the Ryzen CPUs when overclocked and enough to keep any one of them running at stock. Out of these four are for the CPU alone while the other two are for the SoC and for the iGPU of the Ryzen G series APUs. A Richtek RT8894A PWM controls the system. Four CPU phases and two SoC/iGPU use four NIKOS PK616BA and eight NIKOS PK632BA MOSFETs which is a good and solid installation for promising overclocks both on the CPU and iGPU side. 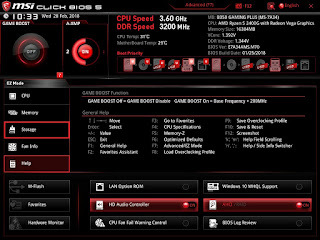 Since the B350 Gaming Plus is quite feature rich but also a $100 motherboard a few cost cutting features are bound to brought into effect, the most prominent being the use of the Realtek ALC892 audio codec over the more conventional ALC1220 which is not that good when powering larger speakers over the latter but works flawlessly if not better when paired with gaming headsets. 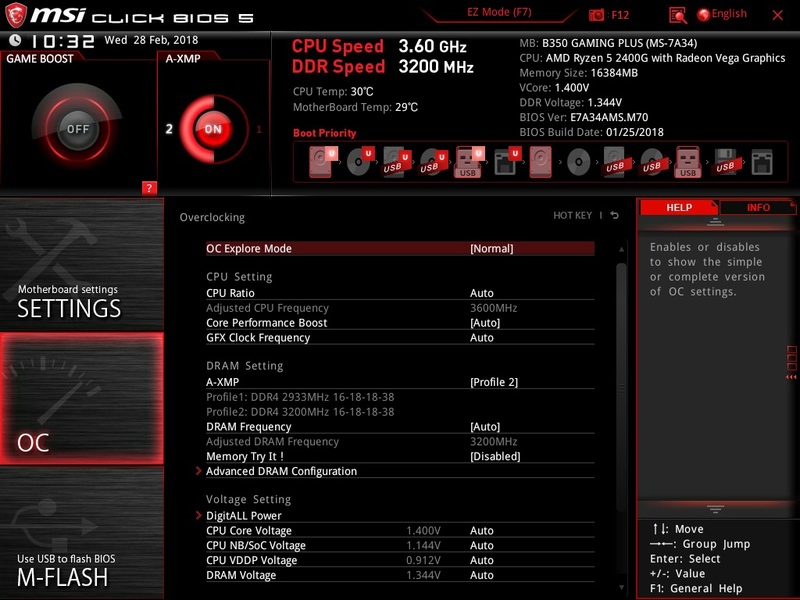 UEFI BIOS is getting more and more common with each manufacturer opting for it due to its simple and flexible interface along with the option to navigate via a mouse rather than a keyboard exclusive BIOS. 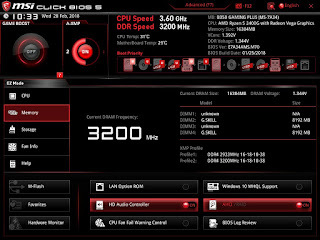 MSI is no different and has offered not one but two versions of BIOS, EZ and Advanced versions, with the MSI B350 Gaming Plus so as to suit every customer's needs. 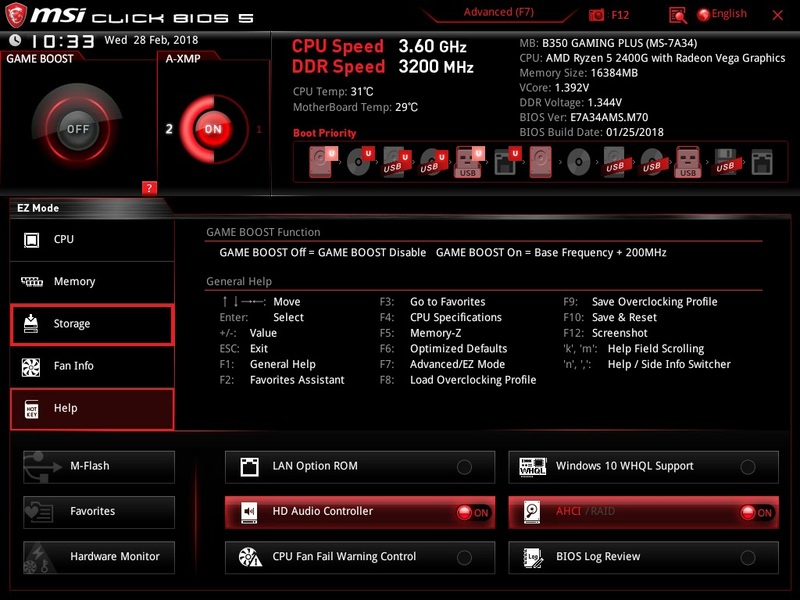 On boot up by default you'll be greeted with a more comprehensive and detailed EZ BIOS screen. 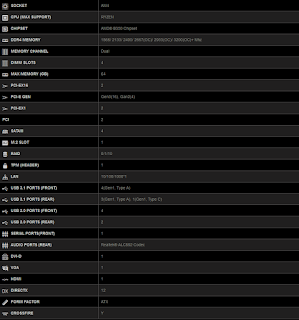 This is a crammed up screen that has the details about all the components installed on the board along with options laid out neatly under clear tabs on the left side. If you want to change fan speeds, maybe boot devices, or use its automated overclocking function or A-XMP, you can do so quickly and easily. This is a much preferred version for the beginners and though it comes with a Game Boost Knob on the top left its useless since the Gaming Plus doesn't support this feature. 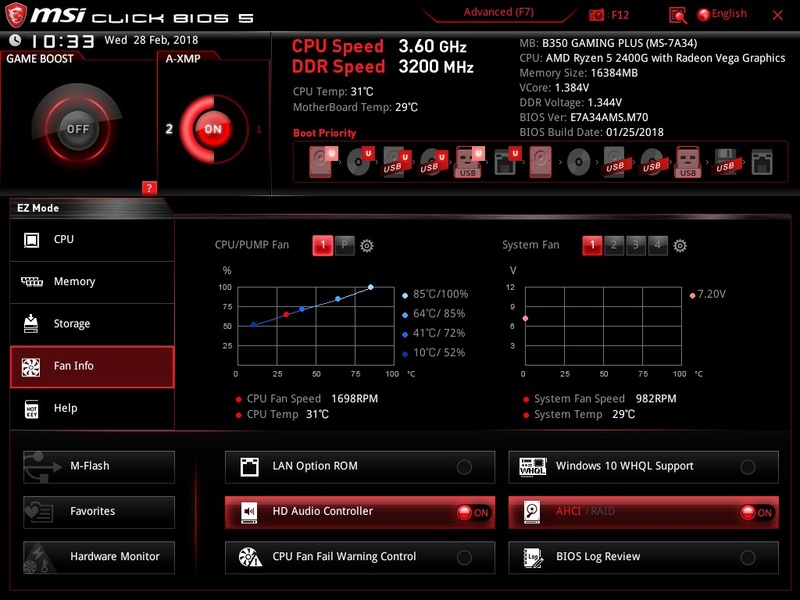 The "Memory Try It" feature is as always working well on this motherboard aswell and provide some easy overclocking features on the click for the RAM provided you don't expect too much here since we are talking about a Ryzen platform who's Infinity Fabric requires you to pay some attention and do some prior homework. On pressing the F7 key you'll be teleported into the Advanced BIOS version or the traditional MSI UEFI BIOS version. 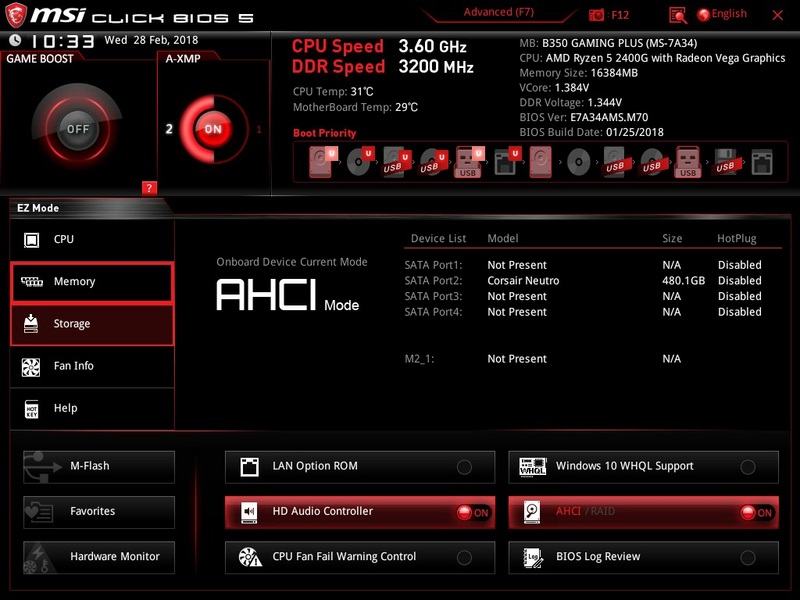 This is a version that all the overclockers will love since the settings are broadly laid out with tab heading like Over Clocking Settings itself. A plethora of features are there out of which I'm showing you a selective few. 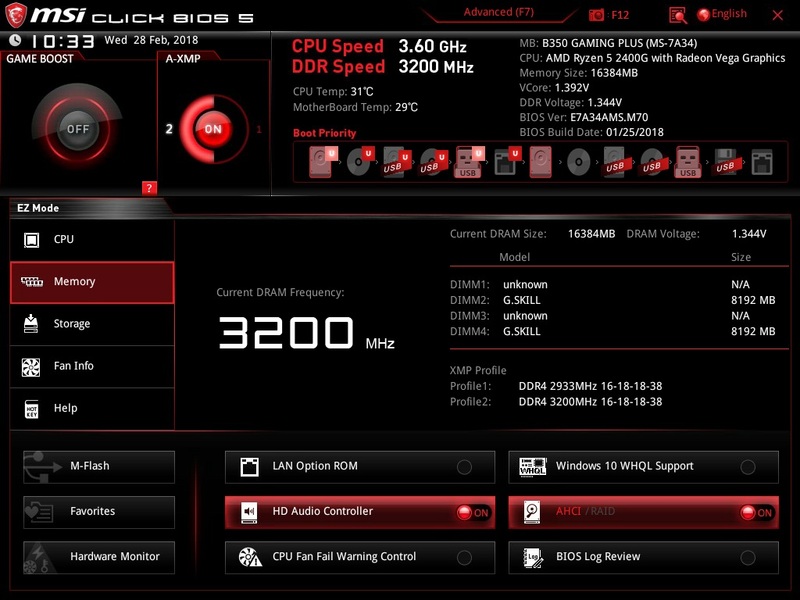 However there is a bit of an issue with the MSI current BIOS as of now when paired with the Ryzen G APUs about which we'll talk in the next section. This is the era when manufacturers provide customers with not just a motherboard and utility softwares that act more like blotwares if nothing else. Gigabyte App center is already what I've reviewed a lot of time & it has never failed to impress but MSI is no less rather a bit more refined in their approach. 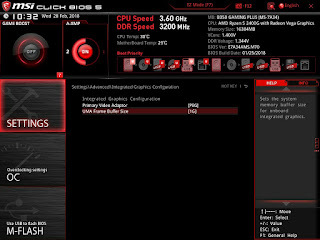 The heart of the software set is the MSI command set which gives you general features and information regarding the CPU, GPU, Fan Speed, IGP and the Game Boost knob...again! Also one beautiful graphical window is there that provides you with temperature readings of each component & even tell you where they are located on the board. The gaming app section is something that you'll be familiar to if you are a MSI graphic card owner. 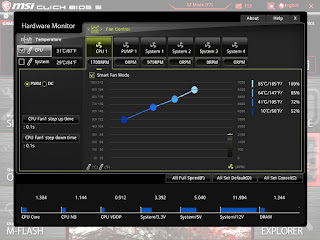 It give you all the information and tweaking options related to your GPU and you can select which vital stat you want to see on your screen. Also you can adjust mouse sensitivity and assign hot keys to your gaming mouse from here making it a one stop solution for gaming. Another added feature this time is the support of wireless control over the MSI Command Center which can be achieved via an App for your cell phone that allows full control over the features of the motherboard including adjusting voltages and frequencies aswell! Booting into Windows with everything installed was easy and I did not face any issues with either the processor or any of the two RAM kits used over here. Obviously you need to flash the BIOS to the latest one for supporting Ryzen APUs which I had to do using a separate Ryzen CPU and Graphics Card, once done everything would work flawlessly using the on-board video output ports, over here I'm using the HDMI port though. Now that was all the good part, one major obstacle that I encountered and a rather strange one was that when allocating 2GB of VRAM to the iGPU on the 2400G the system goes into a constitutions restart loop and if booted into Windows crashes as soon as I log into it. This is an issue only when using a 3200Mhz kit and not with a 3000Mhz kit which worked with ease even when using 2GB of allocated system memory! You'll notice different memory sizes in the CPUZ screenshot above due to this very reason. 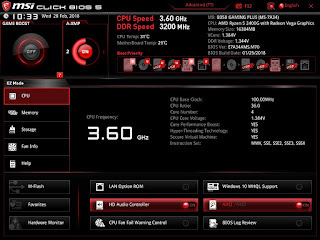 To cross check I used another 3000Mhz+ memory kit and experienced boot failures bringing me to the conclusion that the current BIOS has incompatibility issues with the Ryzen 5 2400G when allocating 2GB system memory using a 3200Mhz memory kit, hope MSI fixes this with another BIOS update soon as this is a bit shameful since at 2GB VRAM the Vega 11 iGPU is extremely competent while gaming. The below benchmarks are using the Ryzen 5 2400G processor at stock frequency with boost enabled and two different memories since Ryzen likes high memory speeds and since the 3000Mhz and 3200Mhz marks are quite commonly bought these days so I wanted to cover how it performs with both just to give a better insight into the motherboard and CPU performance. With the 3000Mhz RAM we have 2GB of VRAM allocated to the iGPU while with the 3200Mhz we have 1GB of VRAM due to the above mentioned reasons. 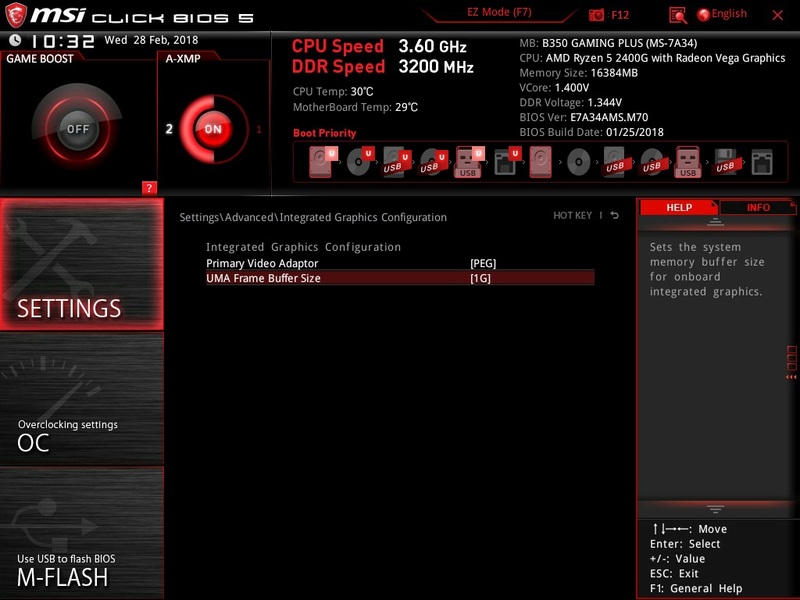 AIDA64 Extreme Edition is a great tool to bench your CPU and RAM in terms of their read-write-copy abilities. Our 2400G showed an impressive score along with both the kits here and the results are as expected without any anomalies. 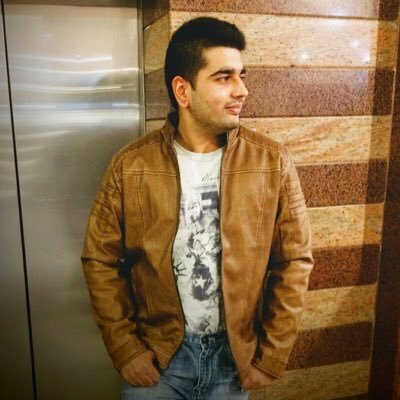 7zip is a compression and decompression program that utilizes the processing power of the CPU alone. It is a synthetic benchmark that gives results very close to real life scores. Cinebench uses Maxon's Cinema 4D engine to render a photo-realistic scene of some shiny balls and weird things (we miss the motorbike). The scene is highly complex, with reflections, ambient occlusion and procedural shaders so it gives a CPU a tough workout. As Cinema 4D is a real-world application - used on films such as Spider-Man and Star Wars - Cinebench can be viewed as a real-world benchmark. wPrime is a leading multithreaded benchmark for x86 processors that tests your processor performance by calculating square roots with a recursive call of Newton’s method for estimating functions. Fire Strike by 3D Mark is a test suit that plays a cinematic scene to determine the FPS, GPU temperature and CPU temperature scaling everything via a cumulative score. 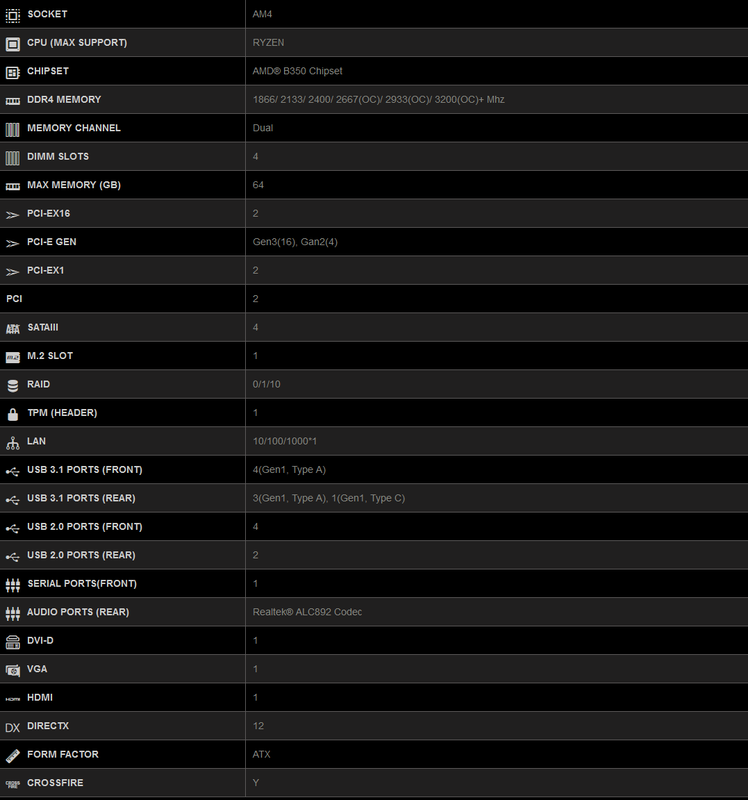 It is a great tool to benchmark your GPU since the render is GPU dependent. What we see here is that while using 1GB of VRAM on 3200Mhz system we are able to obtain better results than that on a 2GB VRAM 3000Mhz system since the Vega 11 clock speed of 1250Mhz is not enough to process all that 2GB of VRAM effectively and as this suite is highly memory speed dependent the 3200Mhz system is fairing off better. Another suite developed by 3D Mark but this time it uses the DX12 API and is more accurate for modern gaming and other graphical workload which utilize DX12 for optimum and smoother functioning. We see almost identical results here since Time Spy requires high VRAM and with just 1GB the performance comes down to the 3000Mhz system so I can expect much better results here if we had a 2GB VRAM along with 3200Mhz. 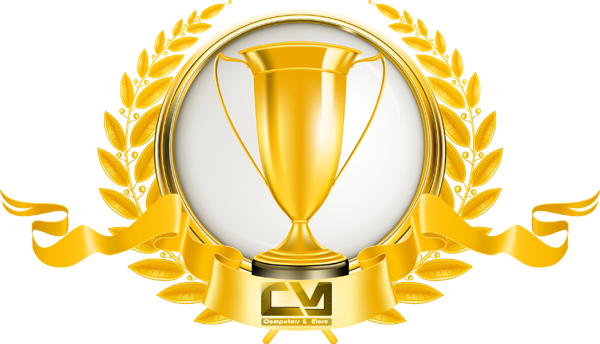 PCMark is an effective tool to bench and see the capacity of the system to handle day to day tasks like video conference, web browsing etc to professional tasks like rendering. Its a great tool to judge the overall potential of the system. With lower VRAM but higher clocked RAM we can see minor difference in the two systems here which can be neglected as in real life it wouldn't be noticeable. We are using the medium preset here without any additional tweaks at 1280x720p and we see a similar case here like that in 3DMark Fire Strike where the 1GB of VRAM didn't bottleneck the Vega 11 GPU on the 2400G and instead we saw a better result courtesy to the faster RAM. I kept this game in the list since its one of the more demanding games out there today and there isn't any other new title out there apt enough to tax the Vega 11 GPU heavily even at medium preset at 1280x720 resolution. What we see here is that both system are identical in performance due to faster RAM speeds even though at Medium settings the game utilizes over 1GB of VRAM. 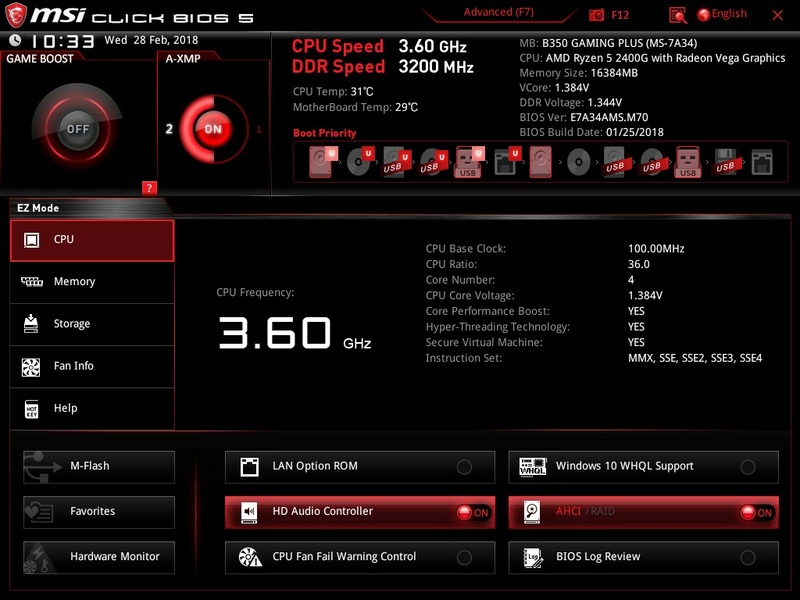 Since I'm using the stock AMD Wraith Spire cooler over here as I want to keep this review of the MSI B350 Gaming Plus motherboard as close to reality as possible and don't expect anyone buying the Ryzen 5 2400G using an after market air or liquid cooler due to the budget oriented nature of the products in focus. The best results possible that I could obtain by keeping the system perfectly stable and within the safe temperature range was by overclocking the GPU over the CPU so while keeping the voltages same I managed a stable 1500Mhz on the Vega 11 GPU inside and I must say the results we see here are damn impressive not only in their raw form but also by the fact that these are on the stock cooler, stock voltage and truly a testimony to the power delivery system of the B350 Gaming Plus motherboard! I won't leave you hanging dry here so don't worry I did overclock the CPU alone aswell since keeping the CPU and GPU both on OC state is near impossible under load due to the excessive heat it generates so using the stock cooler at 1.36v I managed a 4Ghz on the Ryzen 5 2400G which was boot aswell as benchmark stable but the results obtained were not significant and reaching anything further than the 4Ghz was impossible but it does show that MSI has made the B350 Gaming Plus a well optimized motherboard for the Ryzen G platform. 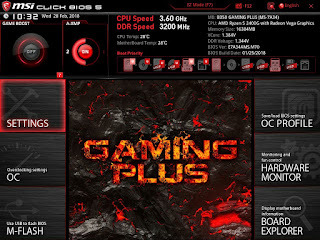 The MSI B350 Gaming Plus is not the best AM4 motherboard out there nor is the cheapest one but definitely it is the most well balanced motherboard out there for the AMD Ryzen platform.With great overclocking capacity with the new Ryzen G series APU thanks to its optimized BIOS and strong power delivery system the motherboard is everything you can ask for when it comes to raw or tweaked performance with some necessary but less felt for trade offs in the cost cutting area. 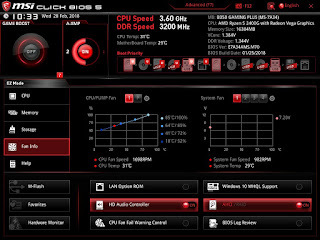 With five PWM fan headers including a dedicated AIO pump header we see a motherboard offering near double the number of on-board fan support here which is a BIOS to control it all really nicely. The only downside I can find her eis that of just four SATA ports where I would've liked six as that's something most people tend to fill up real quickly these days. Talking about the optimization for Ryzen G series APU the presence of three video output from the get go version MSI did a fabulous job in creating a motherboard that stood the test of time when some of the top notch X370 motherboards from competing brands lacked a basic HDMI port to make them Ryzen APU friendly to say the least! There is a bit of an VRAM allocation issue here but that's something that MSI can easily fix with a BIOS update so no hard feelings about that. "The MSI B350 Gaming Plus is one of the most balanced AM4 motherboards out there which offers great optimization and support for the Ryzen APUs justifying the B350 platform and making it a must have on every gamer's shopping list!" I give it a 8/10 earning our Gold Award!